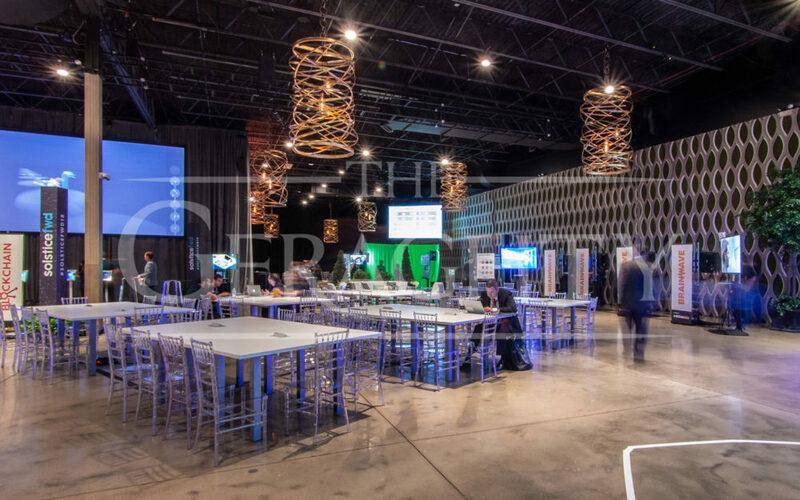 Highlighting the intersection of humanity and technology, Solstice FWD was a one-day innovation summit that allowed executives and digital leaders to unite and engage through immersive technology experiences. The 500-person corporate conference included research and development activations throughout the space and an impressive lineup of industry leaders on the main stage. 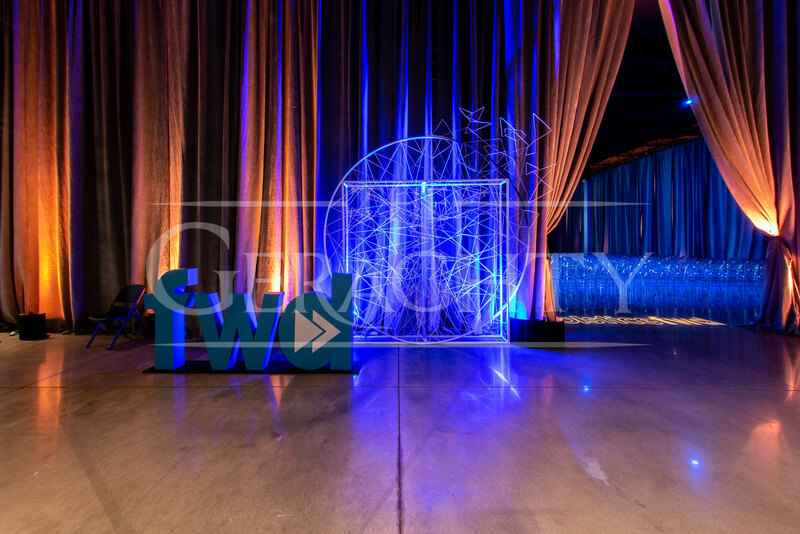 The team at Kehoe Designs divided The Geraghty into two sections to best showcase Solstice FWD’s mission, while BlackOak Technical Productions provided lighting, video, and audio needs. 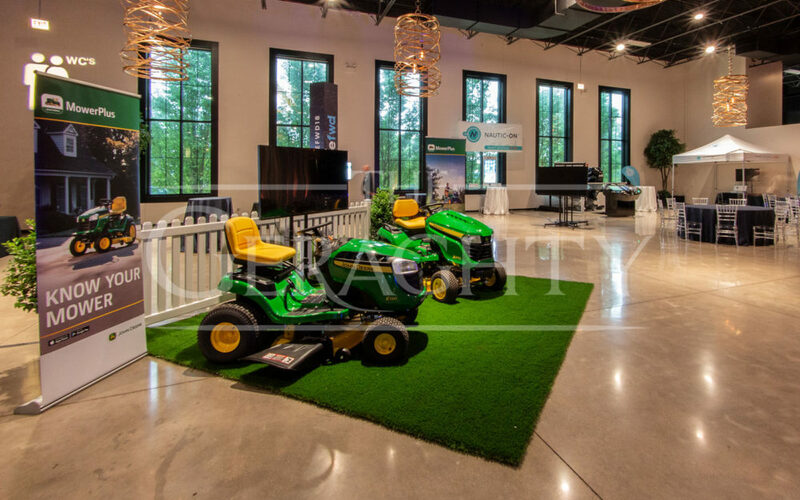 The lighting enhanced both the overall look and feel of the event as well as venue fixtures and décor to reinforce Solstice’s brand integrity. 25,000 sq. ft. venue divided into two areas for a main stage and nine activations, which functioned concurrently throughout the day. 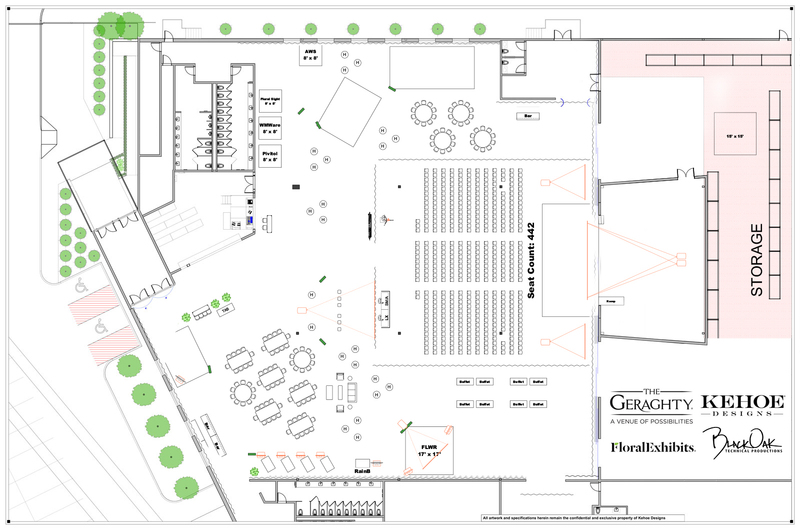 Theatre-style floor plan of the main stage area supported keynote presentations and a musical performance. 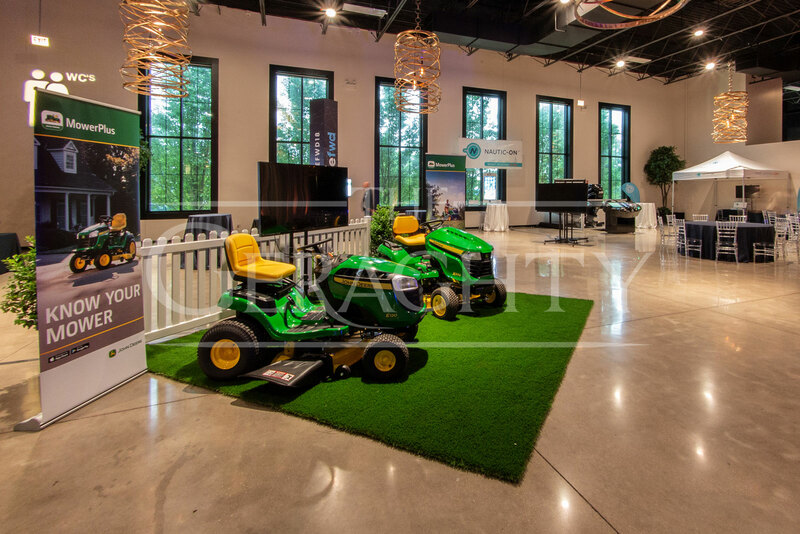 Ample space allowed the client to display heavy machinery in the activation area. The BlackOak Technical Productions team created a custom Solstice FWD gobo to welcome guests in the entryway of the main stage area. 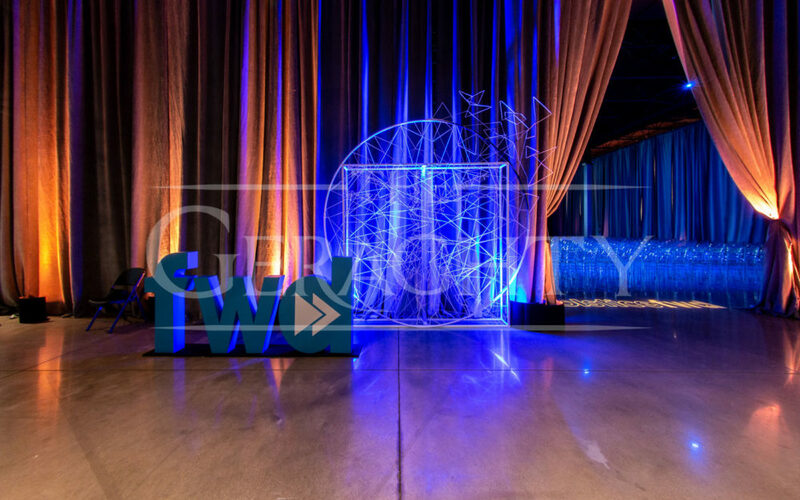 Inside the room, blue lighting washed the space to strengthen the brand’s identity within the event design. 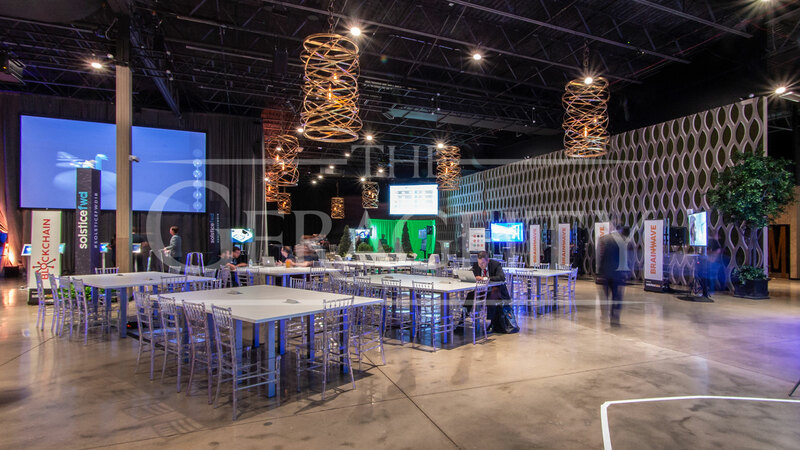 Acrylic chairs in a theatre-style seating arrangement faced a 20’ x 40’x 36” stage, which featured a dozen keynote presentations and a musical performance. A dramatic 15’ x 26’ center screen and two 7’ x 12’ side screens enhanced the visual and practical elements of each presentation by displaying unique, speaker-provided content. Nine research and development activations, each with specific A/V needs, allowed guests to connect with industry leaders. 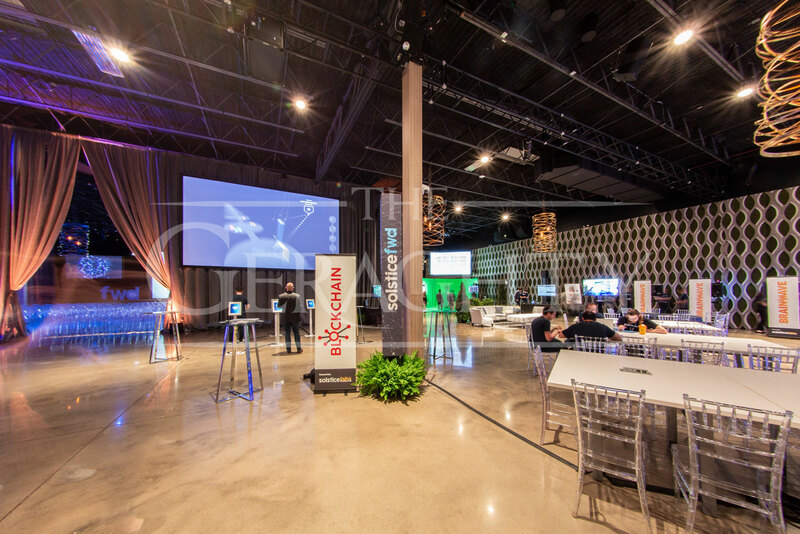 To further guest engagement, BlackOak Technical Productions provided TV and projection screens that displayed client-provided virtual reality and face recognition technology.